If you love to watch tennis, and you also love to take cruise holidays, then the annual Australian Open Tennis cruise is the perfect getaway for you! 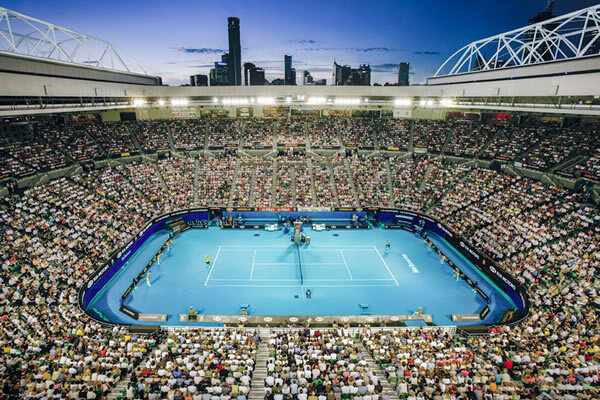 The upcoming 2019 Australian Open tennis tournament will be held in Melbourne (Australia) between the dates Monday 14 January 2019 through till Sunday 27 January 2019. P&O Australia have teamed up with Tennis Australia to offer an exclusive tennis themed cruise. Departing from Sydney on 19 January 2019, you will cruise to Melbourne onboard the P&O Pacific Eden cruise ship. A selection of tennis personalities will be onboard for you to meet as you cruise to Melbourne. Once you arrive, you will stay for 2 days in Melbourne onboard the Eden. Your cruise price includes a free 2 Day Pass and General Admission entry to Melbourne Park to watch the Australian Open tennis. Also included are transfers to/from the ship to Melbourne Park throughout the day and into the evening. Sorry. There are no Australian Open Tennis cruises currently available.